For young Jack Gutteridge wrestling was the centre of life from the time of his earliest memories. Inevitable really, because his dad was one of the most famous men in British wrestling, Jackie MrTV Pallo. Mother Trixie called the two men in her life Big Jack and Little Jack, the JJ tag was a purely wrestling invention suggested by American Ricky Starr. For the Gutteridge family wrestling was very much a family affair, with MrTv's wife, Trixie, often seen at ringside, and Jackie Junior accompanying his dad to matches from a young age. Wrestling was a family affair. Trixie was our First Lady of Heritage wrestling for her contribution over many years, both by making the ever more outlandish gowns of her boys, and principally through her ongoing ringside presence. Anyone that knew Jackie, knew Trixie and Junior. The Ring-a-Long with the Pallos disc featured the whole family.Family holidays became a part of dad's wrestling commitments on the Continent as work and leisure merged into one. Following dad into the wrestling might have seemed an inevitable step, but it wasn't Jackie Junior's first choice of career. His first love was another kind of theatre, and Jackie started out as an Assistant Stage Manager, working with Bob Monkhouse, Dickie Henderson, and Brian Rix. It was a life he loved, but the money wasn't great and the future was uncertain. Not often has anyone chosen to enter wrestling because it offered a more secure future, but that was the decision made by Jack Junior. Dad was supportive, of course, proud that his son wanted to follow in the family business, but, was insistent that he went about it in the right way. If young Jack was going to use the Pallo name he would need to learn to do the job properly. Junior wasn't going to coast along on a reputation painfully built up by Senior over many years. Little Jack had learnt the rudiments in dad's garage gym, but that wasn't enough for a real wrestler. So began a year of intensive training at the Dale Martin gymnasium, working under the watchful eye of Bernard Murray and other hardened professionals, including Kendo Nagasaki. No compromises or excuses were made for young Jackie; if he wanted to wrestle he would have to learn the hard way. It was a wise, if painful, move Not only did Jackie Junior learn how to look after himself in the ring, he also earned the respect of wrestling colleagues.. In the summer of 1971 when he was considered ready to be unleashed on a receptive British public Jackie worked initially alongside Jackie Senior in tag matches. That was dad's idea to guide his son, and keep a protective eye on the new arm of the family business. On 21st June Pallo the younger made his professional debut and stepped into the ring at the Music Hall, Shrewsbury, alongside his father. In the opposite corner were the Dennisons. Three villains and a blue eyed newcomer. Fans took to the uncertain youngster, Senior was the proud father and the Dennisons did the decent thing, working towards disqualification. Jackie Junior had one of the hardest acts imaginable to follow in the footsteps of his illustrious father. Talk about walking in the shadow of a mountain. It was a mountain for Jackie to climb to establish his own personality in the ring which he did with a contrasting, less bombastic style from his illustrious dad. JJ may have had his father's looks but his temperament was a contrast to the arrogant persona of Jackie Senior. Young Jackie's presence had a profound impact on Senior and it was inevitable the man we booed and jeered would have to mellow. No longer could he be quite so bombastic and boastful. Now he was a man with responsibilities, the protective dad. It was a baptism of fire for Jackie Junior. His famous father put him in the limelight from the beginning; there were no easy matches away from the inquisitive fans. The Dennisons, The Sepia Set, The Magyars and the Royals were early opponents. A balance had to be kept between tag matches, where Jackie was supported by a protective father, and singles matches which allowed him to demonstrate what he had learned from Bernard Murray. Al Miquet, Jon Cortez and Micky Sullivan were great opponents, though Leon Fortuna and Ironfist Clive Myers were also amongst his most regular opposition. It was instant success. The one team missing from the list of opponents facing Pallo and Son was, understandably, Jackie Senior's arch rival, Mick McManus and partner Steve Logan. The emergence of Jackie Jnr re-energised the Pallo-McManus rivalry. For all concerned this was to be a match made in heaven, revitalising the rivalry between the two Londoners. Mick played his part by forever making threats about what he and his partner would do to Pallo and son. Inevitably the match was finally made and only one venue would do for “the tag match the wrestling world has been waiting for,” the Royal Albert Hall, London. It was 31st May, 1972. JJ Pallo, less than two years into the business, was set to top the bill in the most prestigious of venues, with a supporting cast that included a British heavyweight championship match, Kendo Nagasaki, Brian Maxine and Adrian Street. Not surprisingly Jackie was very nervous before the contest and that night at the Royal Albert Hall remained forever the highlight of his career, the only regret being that as the only good guy in the ring he didn't manage to get himself disqualified – that would have really got the crowd going! All was going well for young Jackie. He had been accepted by colleagues, was a popular and rising star with the fans; but circumstances were about to change the direction of the course of events. To the fans JJ was a younger, more likeable, version of Jackie Senior. He seemed destined to go on and fill his father's boots and become one of the top stars of wrestling in the final quarter of the twentieth century. But wrestling was changing. 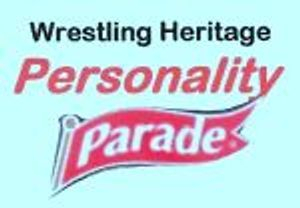 The old time promoters, Morrell, Beresford, Green, Wright, Best, Jack Dale and Les Martin were no longer around. A new breed were taking over, attendances were on the decline and many of the seasoned pros were leaving the business. In his book, “You Grunt, I'll Groan” Jackie Senior admits that his wider show business commitments caused tensions with the wrestling promoters, but it was the barriers seemingly placed for Pallo Senior's This Is Your Life appearance that caused the final break. JJ worked closely with the tv people to prepare the story for This Is Your Life and was shocked when Dale Martin promotions suddenly switched Jackie's booking at Croydon to Aberdeen, forcing the programme to be jeopardised. Eventually the programme was re-arranged, but the damage had been done. Oblivious to the background goings on Jackie Senior was less troubled than JJ, who was furious. For JJ this was the straw that broke the camel's back. Despite decades in the business, and a top of the bill star for twenty years, he was appalled at the way his father was being treated by the management. The confidence of youth … JJ was the driving force that led to him and his father breaking away from Joint Promotions, Pallo Enterprises were in business. This was a new direction for JJ. No longer was he a worker following the orders of his employer, now he was part of the management side of Pallo Enterprises, matchmaking, booking halls, sorting out the publicity. Naturally JJ and father were regular bill toppers with other famous names coming across from Joint Promotions to work with them – amongst them Ricky Starr, Les Kellett, Adrian Street, and the Borg twins. For a short time JJ wrestled as masked man Solitaire until he passed the role on to his friend from school days, Steve Serene. At their height Pallo Enterprises were putting on 15 shows a week. These were probably the happiest days of JJ's professional career, working alongside his father in the family business doing a job he loved. Of course, anyone with an interest in British wrestling knows that even the name Jackie Pallo could not prevent the decline in British wrestling. By the mid 1980s there seemed little point in carrying on and Jackie Senior began writing his book, published in 1985. Jackie Junior packed his bags and was off to America. During the winter of 1986-7 Jackie wrestled in Florida, meeting up with one time colleague Adrian Street. He liked America, but was none too keen on the style of wrestling, though he did pursue other long term business interests. Back in Britain the wrestling business had changed beyond recognition. Big Jack and Little Jack made one final attempt to break into the television market in 1988 with the formation of a company called Wrestling Around the World. The intention was to promote and record wrestling tournaments for sale to television companies around the world. Buyers failed to materialise and only one show was ever recorded, featuring Johnny Kincaid, Jackie Pallo Jr, and the masked Solitaire. Lesser men would have been broken. In an earlier age Jackie Junior would have been reaching top of the bill status. By the end of the 1980s there were few bills to top, and few fans to watch. Things would never be the same again, but JJ Pallo remained optimistic, a chip off the old block, and continued wrestling until 1999.